Kanye West is a popular American singer, rapper, producer, song author, and designer. Critics often called Kanye one of the greatest artists of the 21st century. West is also famous for his straightforward and sharp phrases pronounced at ceremonies and in media interviews which resulted in many scandals. The would-be rapper Kanye Omari West was born in Atlanta, Georgia. Both parents belonged to the intelligentsia: the father was one of the first African-American photo journalists in the USA, and the mother was a professor and taught English at the Clark Atlanta University when her son was born. In a while, she chaired the philological faculty of the University of Chicago. When Kayne needed a personal manager, the woman took these responsibilities. When the boy was only three years old, Ray and Donda divorced. 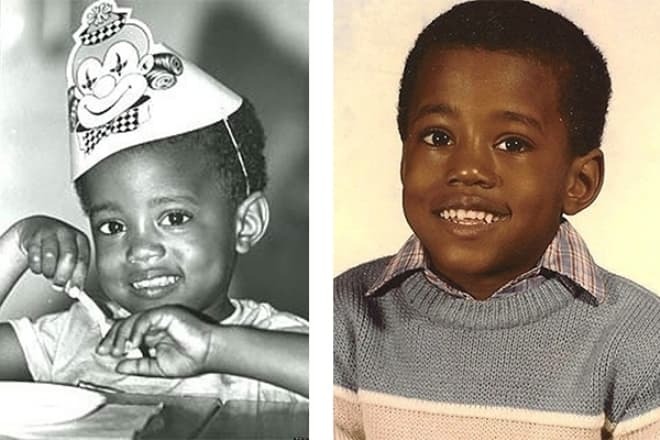 Kayne stayed with his mother and moved to Chicago together with her. He went to Polaris High School and studied well: С or D grades were nonsense for the boy. The teenager and his mother used to live in China: Donda taught English to the locals. Because Kayne was the only foreign student in the town Nanjing, there was no special program for him. Thus, West learned Chinese in a short period of time. The boy got interested in art early. At the age of 5, he created his first poem, and he got engaged in painting and music at 8. The mother presented her son with the gaming computer “Amiga” that had a program to create simple tunes. West immersed himself in this activity. In a while, the teenager began to rap and take part in the city hip-hop movement. At 13, West created melodies that could be sold to other musicians. He also recorded his own song “Green Eggs and Ham” at a semi-professional studio. As soon as Kayne West graduated from school, he got a study grant at the American Academy of Art, yet it was the Department of Fine Arts, not the Department of Music as the young man had hoped. For this reason, he transferred to the University of Chicago and took up the English literature. At 20, West gave up the university to concentrate on his music career. The professor mother was shocked, yet the son’s further success gave her the change to see things from a different angle. Later, the woman said that she realized: in some spheres, talent, willpower, and dedication are more significant than formal education. As a school and university student, Kayne West created music for other singers including Beyoncé and Janeth Jackson, Michael Jackson’s younger sister. In a while, he began his own music career in the show-business. Unfortunately, recording companies were rejecting West at first: they would gladly buy the composer’s samples yet they did not want a rapper who grew up in an intelligentsia family, not among young gangsters. Rap music implies the narration about the ordeals a performer has encountered. Kayne did not have the experience of gun shooting or drug trade. However, there was a tragedy in the young man’s life: he had a road accident and had his jaw crushed. When the musician was wearing a special frame on his face, he created the song “Through the Wire.” Two weeks later, he recorded the song at a studio despite he was still wearing a special medical face mask. Due to the accident, the young man found the major theme for his first album “The College Dropout” – individual decision-making. The album was a tremendous success and debuted from the second position at Billboard 100. The songs “Slow Jamz” and “Jesus Walks” became great hits which are still a kind of West’s trademark. It is interesting that the music style of West’s first album is similar to the accelerated soul: it was a novelty. While West’s colleagues started copying this peculiarity, the musician began to invent a new genre so that he would be different from others and avoid repetition. The second album “Late Registration” brought Kayne the Grammy Award; the rapper’s fans enjoyed the songs “Gold Digger,” “Heard ‘Em Say,” and “Drive Slow.” So, the singer who used to be rejected by recording companies became one of the most successful rappers in the world. 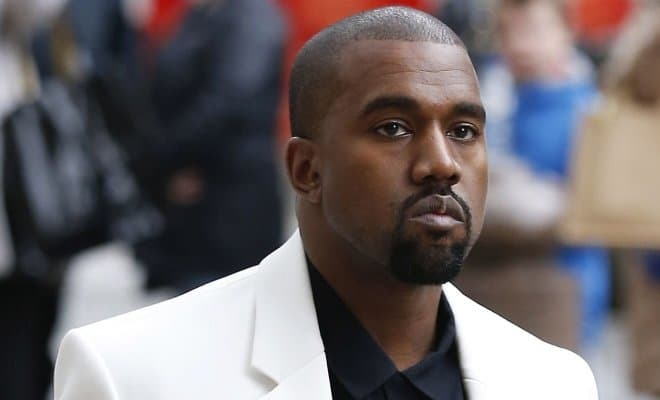 In the course of time, Kayne West often presented global hits, for example: the hip-hop “Stronger,” minimalistic synth-pop “Love Lockdown,” and rap “Heartless”; the latter is considered to be one of the bestselling singles in the whole world. In 2011, Kayne West and the rapper Jay-Z released the album “Watch the Throne.” The song “Ni**as In Paris” was the most popular single of the new album. The audience frequently asked the musicians to perform this song. In 2012, West and his team performed “Ni**as In Paris” 11 times as an encore. In 2013, the next album “Yeezus” followed; 25 producers including the rapper himself worked on it. There is a comic story regarding the music video “Bound 2” – the actors Seth Rogen and James Franco made a funny parody on the video. As Rogen said at “The Graham Norton Show,” Kayne West took the joke; the actor also added that the rapper needed 3 days to record the video while it took Rogen and Franco only 3 hours to complete the job. In the same album, West presented the song “Black Skinhead” devoted to black people. In 2016, West presented the music video “Fade” from the new album “The Life of Pablo” at the MTV VMA 2015 ceremony. In this video, the actress Teyana Taylor wearing a sports bra and strings twerked at a gym. The audience was excited. 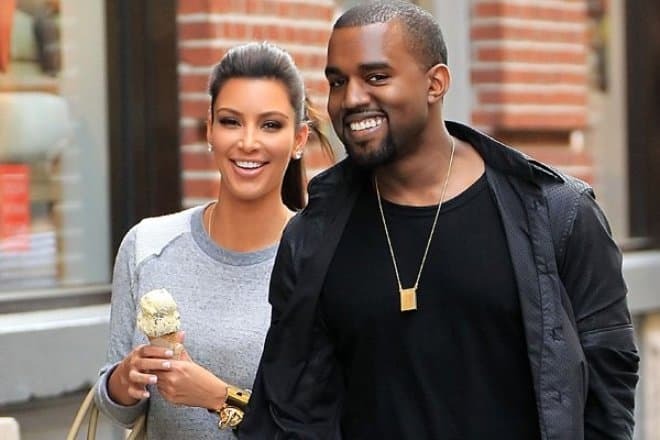 The famous musician, Kayne West also worked in a different direction: he created his own fashion line “Pastelle” that he had been projecting for 4 years. However, the rapper stopped working on it since he signed the agreement with Nike and created Air Yeezy sneakers. Besides, West collaborated with the Italian designer Giuseppe Zanotti and Japanese brand BAPE. In the course of time, the rapper came back to creating clothes and presented his first collection of female clothes at Paris Fashion Week 2011. The next year, he demonstrated a new version. Still, Kayne West the designer has been successful with shoes more: after the contract with Nike, he started collaborating with Adidas and produced sneakers Yeezy Boost and boots Yeezy 950 Boot. In his youth, Kayne West was dating the designer Alexis Phifer and even got engaged with her. However, the young people split up six months later. Later on, the rapper had a love affair with the model Amber Rose for two years. In 2012, West and the reality show star and model Kim Kardashian started their relationship; they had been acquainted for 5 years at that moment. The musician proposed to her in a year at Kim’s birthday party at the AT&T-Park in San Francisco; Kayne’s and Kim’s families and friends witnessed the declaration of love. The wedding ceremony took place in Florence, Italy, in May 2014. Between the engagement and wedding, Kardashian gave birth to the daughter North (aka Nori). At the end of 2015, the son Saint was born. In January 2018, Kayne and his wife had their third child: a surrogate mother gave birth to the girl Chicago. The rapper demonstrated that family was more important to him than career in October 2016: robbers attacked his wife and kidnapped her. The musician rushed to his beloved woman in the middle of the concert. The abusers took Kardashian’s jewelry that cost several million; nobody was injured. Kim was shocked, but everything worked out. In 2007, Kayne West had to face a tragedy: his mother Donda West passed away. The day before her death, she did liposuction and had breast reduction surgery which led to the cardiac arrest. When the woman visited Dr. Andre Aboolian he wanted the woman to check her health condition. Donda did not do that and visited another plastic surgeon Jan Adams who performed the operations without the necessary checkup. Later, the doctor was deprived of his license. After his mother’s death, Kayne West devoted his first concert to Donda: he sang the song “Hey Mama” and actually burst out crying at the stage. In one of his interviews, he confessed he felt guilty his mother died: he thought that she would be alive if he had not moved to Los Angeles. In 2009, the California mayor Arnold Schwarzenegger signed the law according to which all patients who were going to have a plastic surgery were obliged to have a medical examination. Thousands of fans watch Kayne West’s life and works on Instagram. Once, the rapper deleted his microblog as well as his Twitter account. However, he came back in February 2018 and posted 55 photos on Valentine’s Day on his Instagram. He also began to share his thoughts on Twitter at this time. 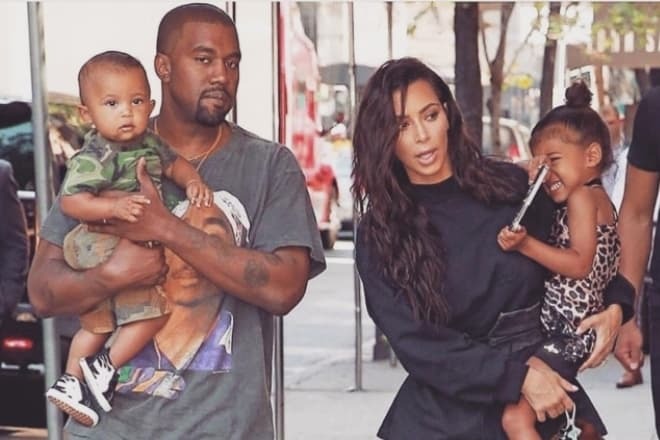 In May 2018, rumors had it that the Kardashian-West family was going through a crisis and Kim even thought about the divorce. 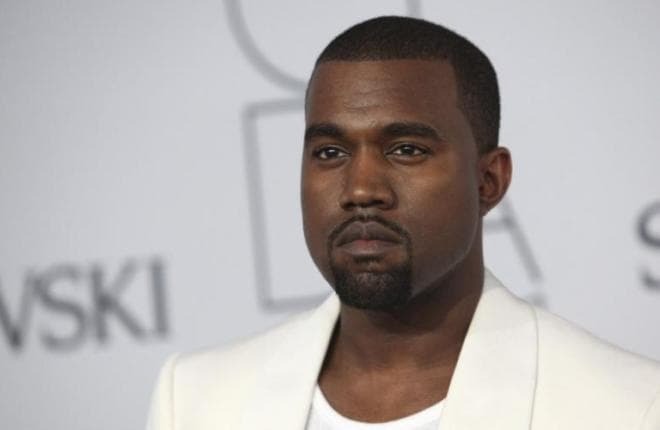 An insider reported that the rapper’s wife is not satisfied with Kayne’s mental state. In 2016, West had a cosmetic procedure and got addicted to painkillers so that he had to be hospitalized to be rehabilitated. In April 2018, Kayne West dropped hints on his Twitter page that he was going to run for the presidency in 2024. The singer attached the posters with his photo and slogan: “Keep America Great.” Thus, the musician made a reference to the current President Donald Trump’s campaign slogan. 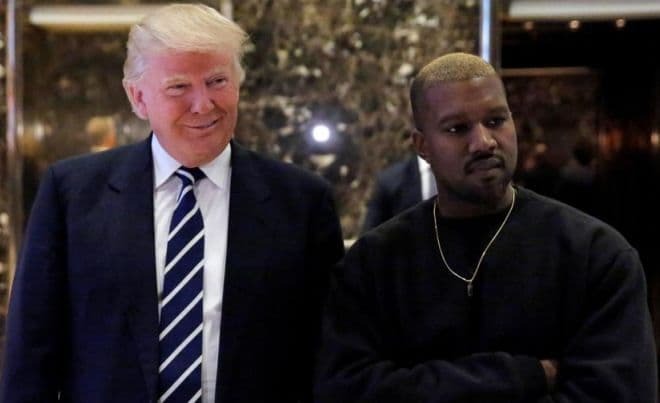 During the election, Kayne supported Trump; as he won the election, the musician had a meeting with the new head of the country and discussed the US multicultural politics. 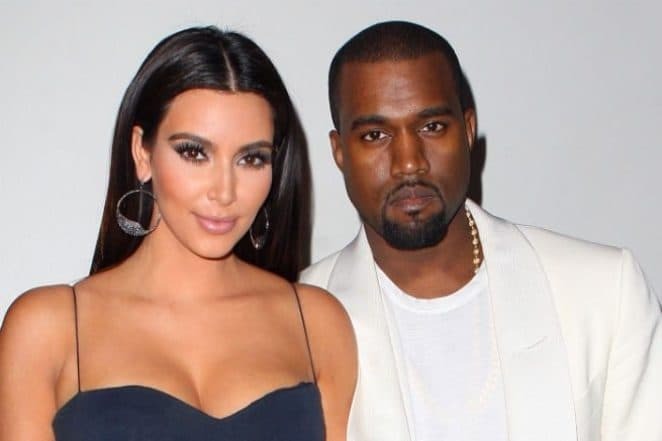 Kim Kardashian is not happy with her husband’s posts supporting the president. The socialite is known to have voted for Hillary Clinton. In May 2018, the rapper’s words provoked a public outcry: he said that slavery in North America was black people’s conscious “choice.” Later, West said his words were misunderstood: he actually meant that African Americans’ minds were not free while he encouraged the freedom of thought.